Now that Apple's on an iOS-like yearly update schedule for the Mac's OS X operating system, it'd be big news if we didn't start to see traces of the next version, OS X 10.9, start appearing in server logs sometime that is soonish. Well, no cause for concern, because the next big cat is out of the bag and stealthily surfing the web. Seth Weintraub from 9to5Mac posted this morning that he'd been seeing 10.9 in his logs, so I checked iMore's and sure enough, it's there too. We probably won't hear much more about 10.9 until Apple formally announces the beta sometime next year. But if nothing else, you can rest assured newly anointed SVP of Software Engineering, Craig Frederighi and company are already hard at work on it. And since they might be reading this very post, why not take a minute and let them know what you'd like to see in OS X 10.9? Per-app AirPlay so we can work on one app while mirroring another? iBooks for OS X? Reupholstering of the linen and stitched leather to something more Ive-inspired, like aluminium? Documents in the Cloud that aren't tied to specific apps but can be accessed via a unified repository? A much better, much more social Game Center? 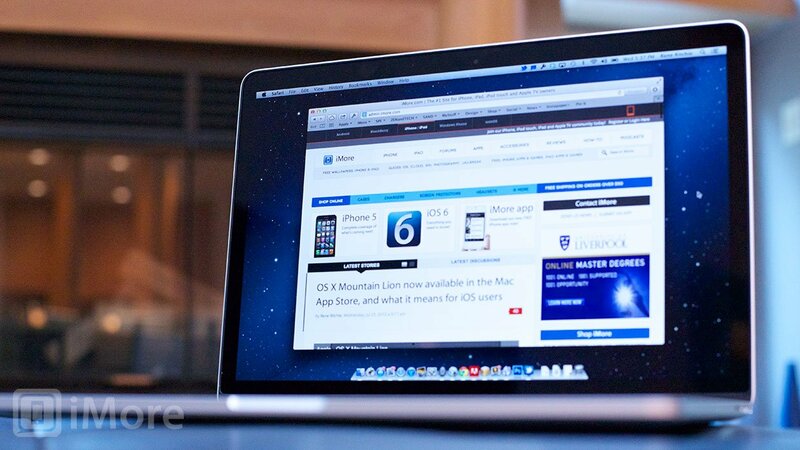 What's on top of your OS X hit-list?